Off the Coffee Table | What's On My Nightstand? The library has recently acquired some truly lovely books that I enjoyed perusing. These books are too stunning to leave on the coffee table. You need to pick them up and ooh and ah over all the gorgeous images they contain. 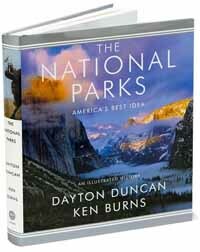 First is The National Parks: America’s Best Idea by Dayton Duncan and Ken Burns. This book has pictures of the lush landscape found in America’s national parks, the people who helped found and develop them, the art they’ve inspired, as well as the wildlife they contain. 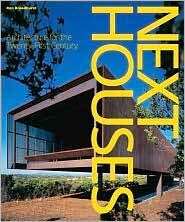 The second book is Next Houses: Architecture for the Twenty-First Century by Ron Broadhurst. This absorbing architecture book highlights some truly amazing new marvels of architecture. I particularly liked the Casa Tolo building, which is built on an extreme incline, and the House in Highgate Cemetery, a beautiful glass and concrete structure that overlooks a intriguing, old, and gothic-styled cemetery. 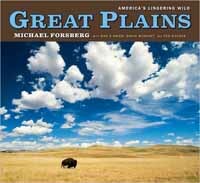 The third book which I enjoyed looking through was Great Plains: America’s Lingering Wild by Michael Forsberg with Dan O’Brian , David Wishart, and Ted Kooser. This attractive book explores the history of the Great Plains, its wildlife, and the ecological impact of civilization. So if you want to read an enjoyable book in which the illustrations are as interesting as its text, check out these books on the new book display at Oakton’s Des Plaines Library.